Psst, hey you. 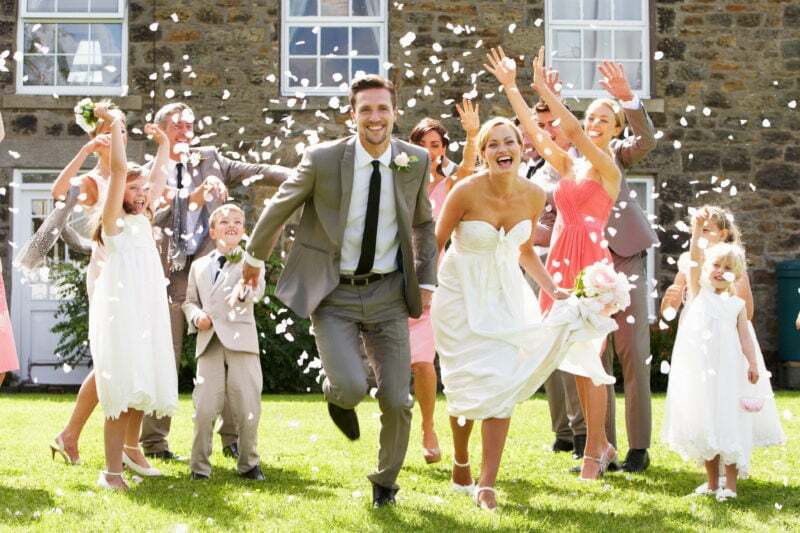 Want to know the secret to throwing the budget wedding of your dreams? Keep reading! I cannot believe how much time has flown by since we got married! I remember frantically planning and executing our budget wedding-we got engaged in November and our wedding was the following August. Not a lot of time by most wedding standards! And of course, we were on a tight budget and paid for everything ourselves, so that made the stress and time crunch even more daunting. But we did it-we did it our way, and we had a beautiful budget wedding. It was the wedding of our dreams, and people are STILL talking about it (even at my brother’s much more expensive wedding FOUR YEARS later…sorry bro!). We did go over our budget though, as weddings tend to do. We set out to spend only $5,000 on our wedding, we actually spent closer to $7,000. Of course, if you have any experience with weddings, you’ll know that budgets are very easy to blow through when it comes to weddings. All things considered though, I would say we did pretty darn good considering those extra expenses were outside of our control. So why did we go over budget? We wanted to have our own food and beverages at the reception, but because our venue was technically a public park, and we had more than 50 guests, the county law required us to have a caterer and licensed bar service, which also meant paying for a police officer to be present in case things got rowdy. We could have avoided this by paring down our guest list or giving up our venue but we chose to run with it, so we ate that extra cost. The following items are things we did to keep our wedding as inexpensive as possible while still throwing a party for all of our family and friends that didn’t look cheap! With all the technology out there, it’s easier than ever to skip a DJ. With a bit of planning, you can choose a song list, edit the long pauses or weird intro/outro sections and plan out the perfect playlist. For our wedding on a budget, we chose to go the iPod route and had our playlist saved on several devices (as backups) and plugged into the audio system at our venue. We had songs laid out in a way that built up the night and was the perfect soundtrack for our special day. I had my brothers keep an eye on it and that was that. Simple! My father did our introduction as we entered the reception and made announcements as necessary. Check out my post about how we DJ’d our own wedding with an iPod to learn how you can do it too. Bonus: No awkward Chicken Dance, no inappropriate bump and grind songs (unless you’re into that sort of thing, then go for it! ), and no awkward playlist choices like Every Breath You Take…it’s not a beautiful love song, it’s a song about a stalker! Have you ever kept the program at any wedding you have ever been to? Unless you were the mother of the bride, probably not. Don’t waste money on this unnecessary extra expense. 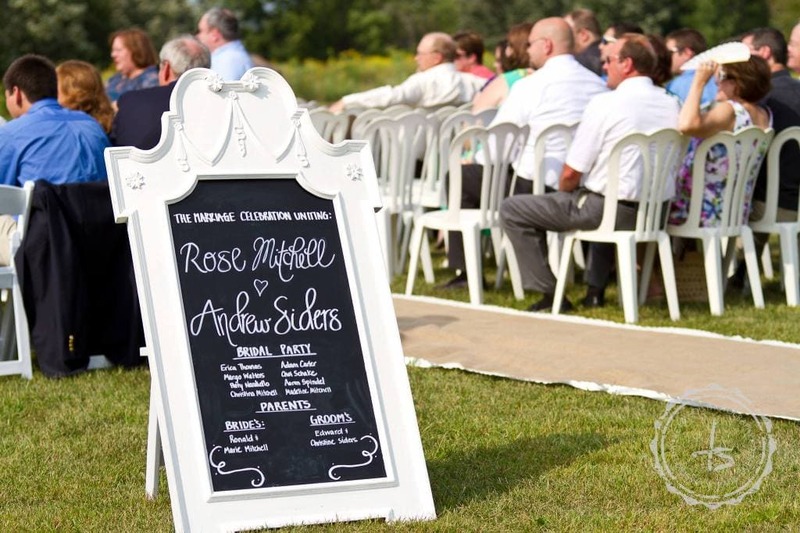 Go with a nice, handmade sign for your budget wedding. We chose to keep with our rustic chic theme and do a decorative chalkboard wedding program instead. It was easy to do, and was extremely popular with our guests. Plus, its become part of our decor in our home after the wedding! Oh, and it only cost me $15 to make. See that burlap aisle runner? I made that too. It has our last initial on it. After the wedding it was mounted on canvas and used as wall art in our home! This was one of the most time consuming projects for our wedding but possibly one of my favorites. I designed, printed and assembled our own invitations. We spent a couple hours at the local FedEx Office over a couple Saturdays and got the whole thing done. They turned out beautifully and were FAR less expensive than having them done professionally. There are many kits out there now that make it really simple even if you’re not skilled in graphic design. 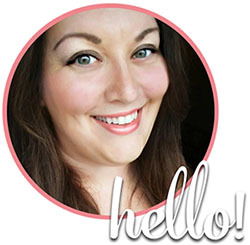 You can use programs like PicMonkey or Canva if you don’t have Photoshop. 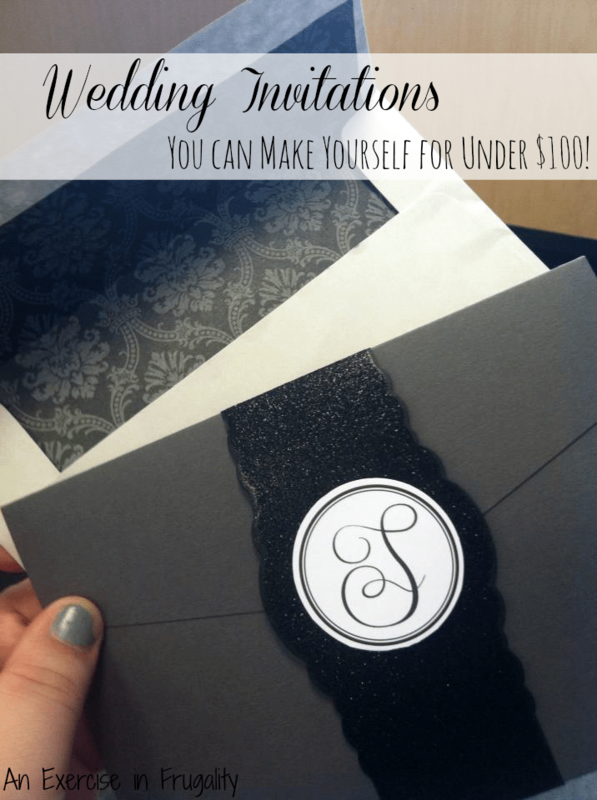 Check out my post on how to make your own wedding invitations. Wedding gowns are INSANELY expensive, but there are many ways you can get a great deal on a dress. You will never guess where I got my gown from. It was beautiful, well-made and it cost me under $300! This post has a ton of tips for finding a budget-friendly wedding gown. I used one of our engagement photos to create our own save-the-dates and had them printed using Shutterfly! It was easy to do, and so much more affordable than having them done professionally. How affordable exactly? 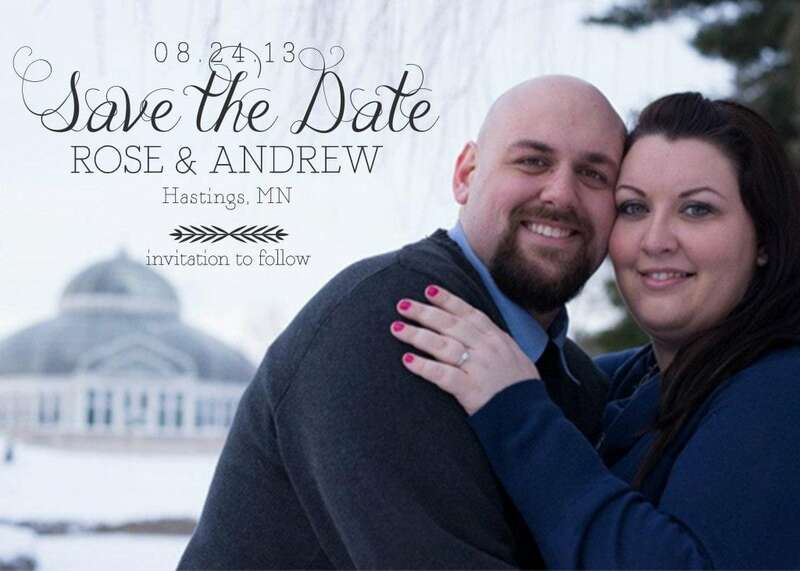 We made our save the dates for free! Yup. Zip. Zero. Zilch. Nada. Just a little bit of my time, and patience! Planning a wedding does not have to be expensive. If you’re careful and thrifty, you can have a gorgeous wedding on a budget. Our guests still talk about how nice our ceremony and reception were even though it was very low key and totally about the family We paid for the whole thing ourselves and while we wanted to throw a lovely party for all our family and friends (some of which flew from half a world away!) we didn’t want to start our life in debt because of it. 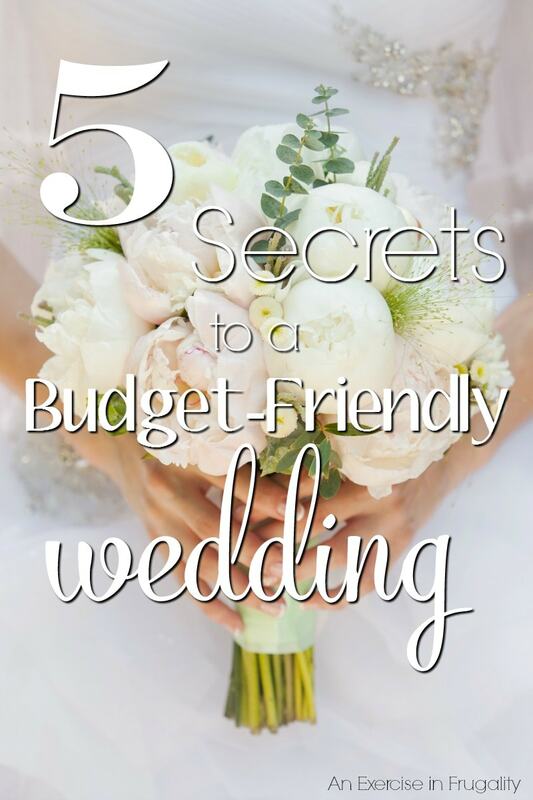 What other tips do you have for a budget wedding?